An exciting day of poker has now come to an end here at the Playground Poker Club in Montreal. The partypoker MILLIONS North America $5,300 Main Event Day 1d had 620 entries, with 272 bagging their chips and moving onto Day 2. 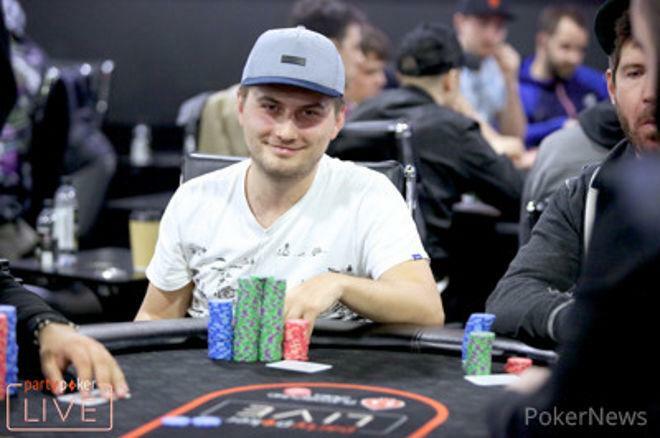 The chip leader at the end of the day was Michael Sklenicka who bagged 10,195,000. Sklenicka registered after the first break but quickly jumped into the action and spun up a big stack. The Czech native has accumulated over $500,000 in live earnings, with his biggest cash coming in the WSOP Main Event for $263,352. Sklenicka not only was the chip leader of Day 1d but he has also bagged the largest stack of any flight so far, surpassing Tony Dunst (8,050,000) and sitting atop the chip leaderboard with the only eight-figure stack heading to Day 2. Although it was a packed room today, it was still easy to see a lot of notable faces that had decent-sized stacks. Many of them were still looking to bag chips for the first time and those fortunate enough to do so were Demo Kiriopoulos (6,080,000), Joseph Sicko (6,070,000), Joao Simao (4,555,000), Joseph Cheong (4,030,000), Mike Leah (3,865,000), John Racener (2,895,000), and Sergei Gurin (2,555,000). There are now four Day 1s completed, with 585 runners finding a bag for Day 2. The last flight is Day 1e, which started at 8 p.m., and players will also be given the opportunity to buy in on Day 2 for the first four levels of play. The PokerNews live reporting team will be back on site to bring you full coverage of Day 2a.